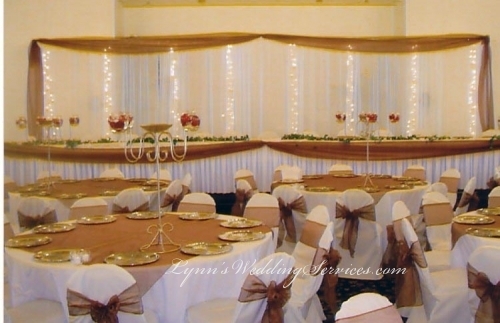 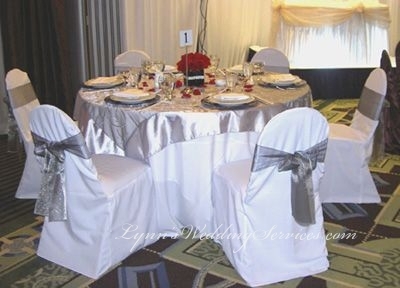 Overlay is a nice sheer organza or embroided organza piece of fabric that goes on top of the table. 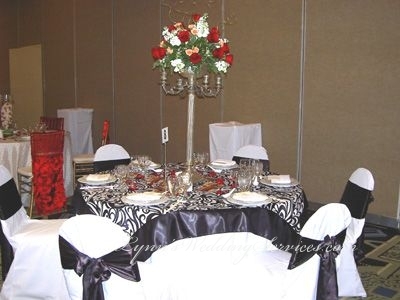 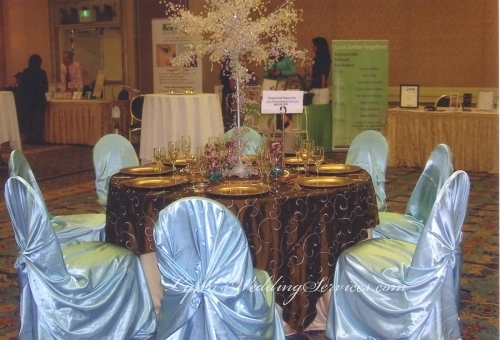 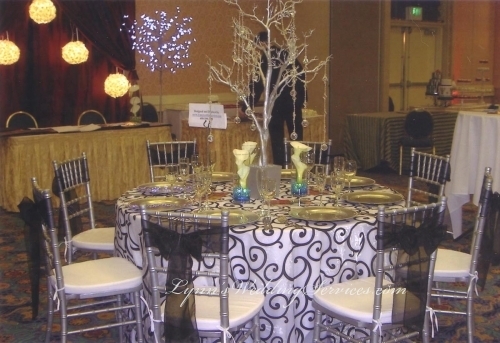 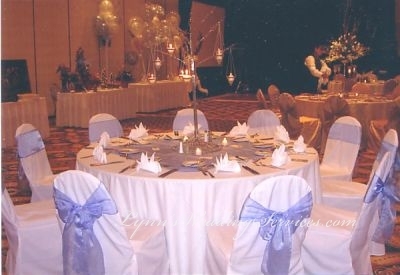 These table overlays will add a very nice touch to any reception table settings. 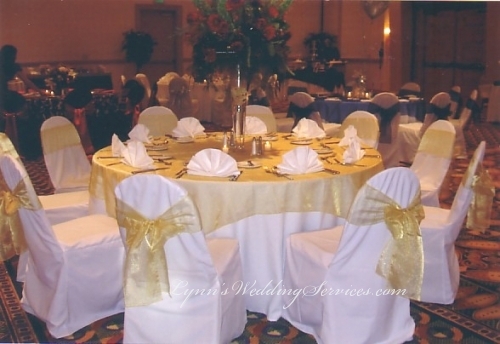 They come in small size that sit right on top of the table and the corners touch the edge of the table. 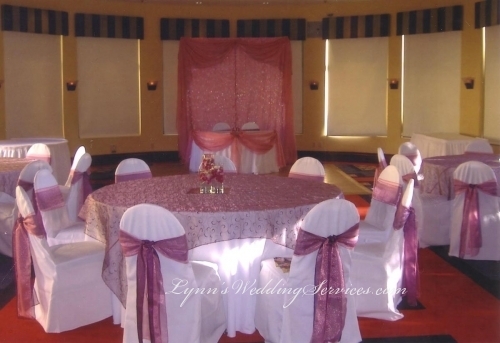 The larger one hangs over the round table one third down. 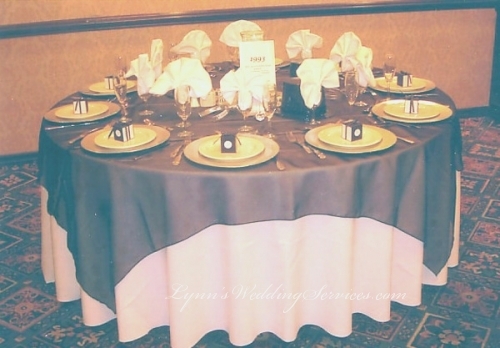 The larger size overlays look better on a floorlength table cloths. 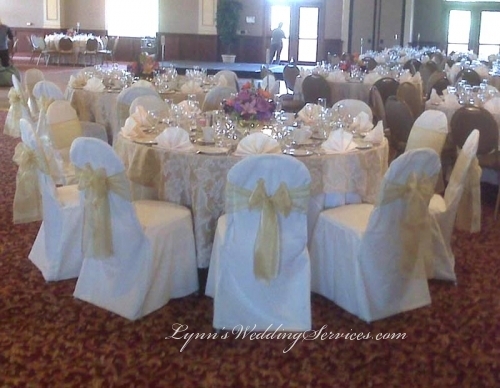 We also custom make table runner. 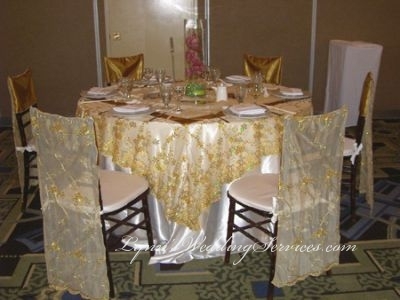 We have selection of table overlays, sequence overlay, embroided overlays, damask overlay, satin overlay, silk crushed overlay, pin tuck overlay.